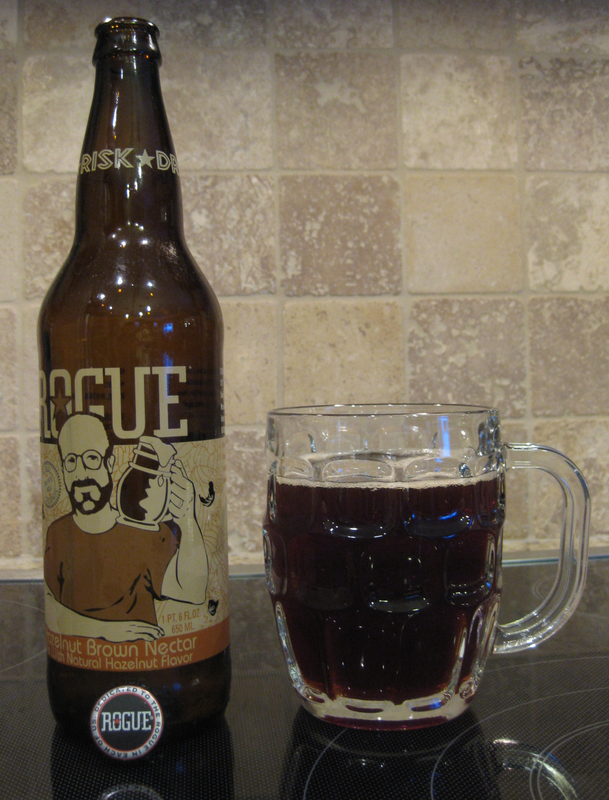 Rogue HazelNut Brown Nectar (aka Bald Guy Brown) pours a hazy brown and develops a one finger foamy tan head. 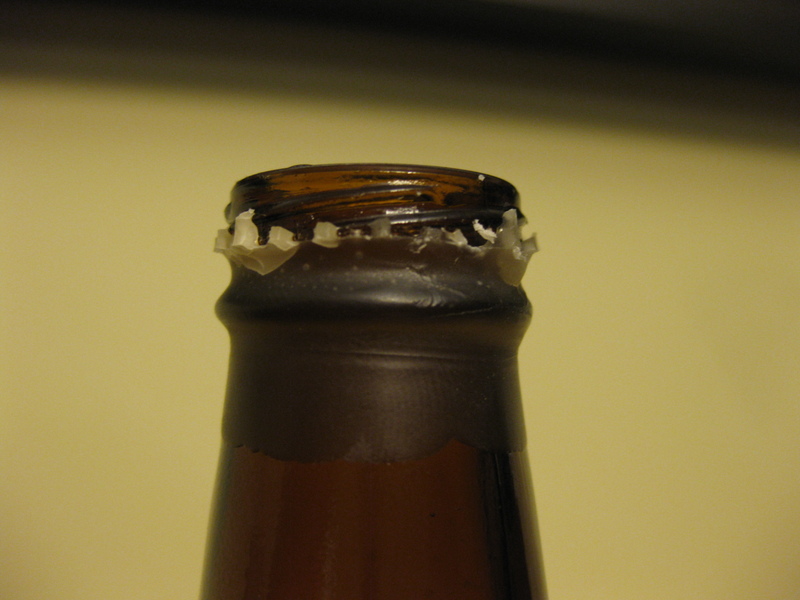 Retention was noticeably short and lacing was absent. The aroma is dominated by hazelnut and general “nutiness”. 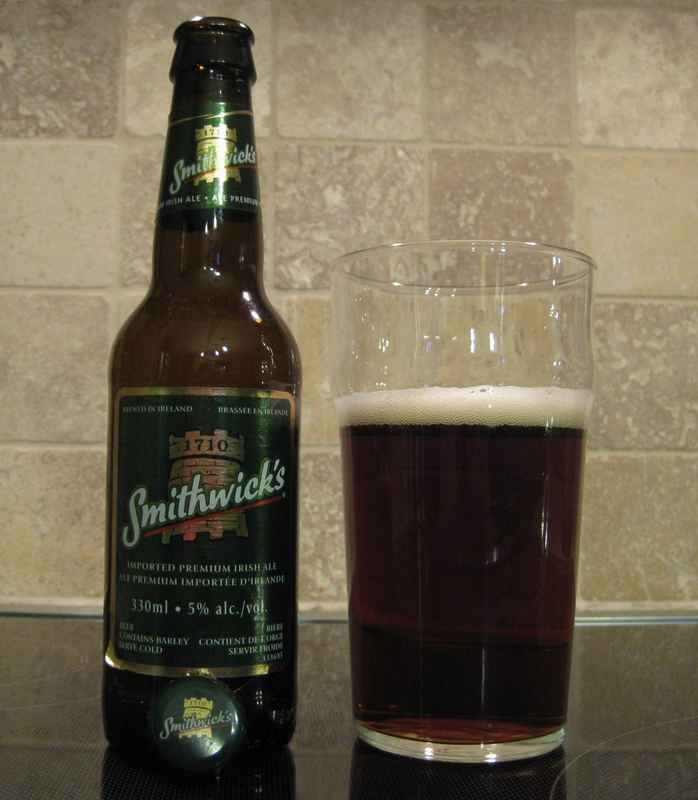 I pick up on a mild chocolate smell and a bit of brown sugar which is likely the sweetness from the malts coming through. It is not a very complex nose but it is well balanced. 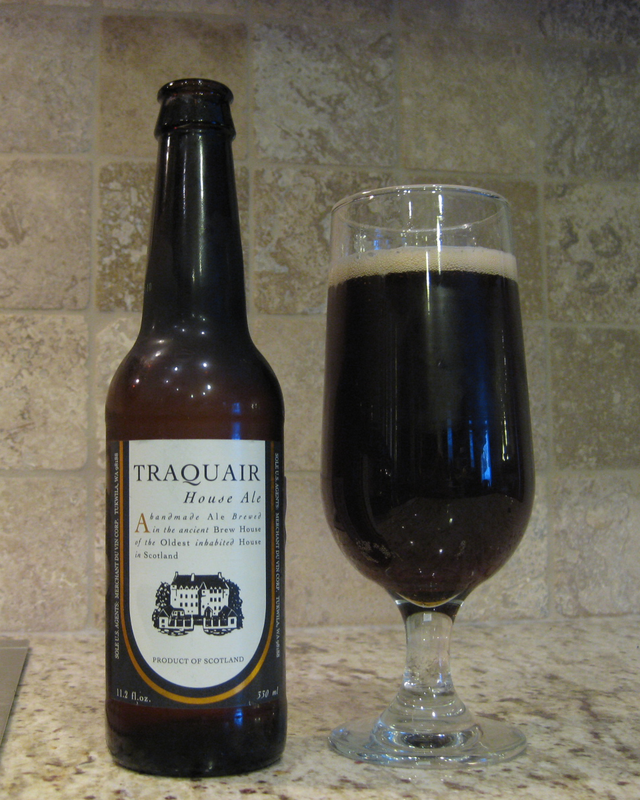 The taste echoes the aroma and is also dominated by hazelnut with an understated chocolate flavor. The beer is very sweet (maybe too sweet for some tastes?). The taste is great but the sheer power of the hazelnut is distracting and makes isolating other flavors difficult. I found as the beer warmed slightly that the hazelnut became less overpowering. 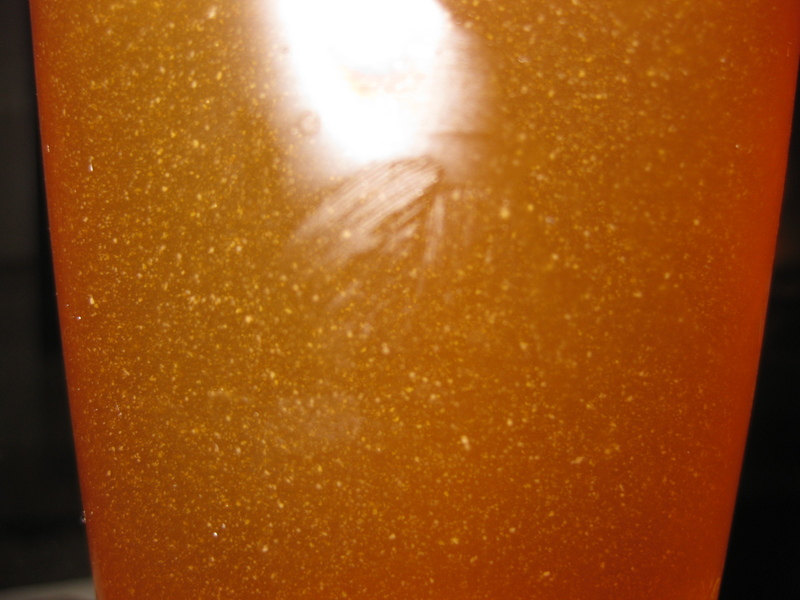 At this point the beer was revealed to have a definite quality brown ale base. 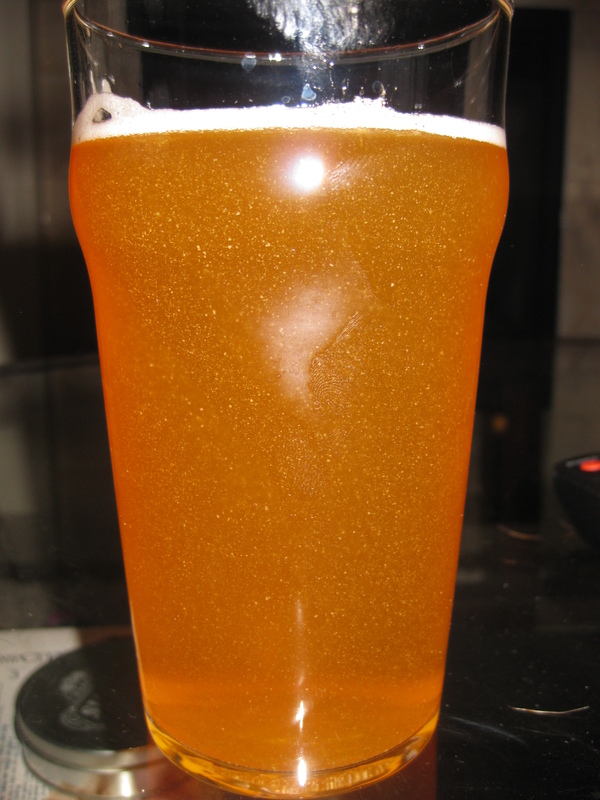 The mouthfeel is creamy but with high carbonation. When holding the beer in the mouth longer to pick up on the flavors you get a pretty tingly tongue. This was a fairly one-dimensional beer albeit a very enjoyable one. 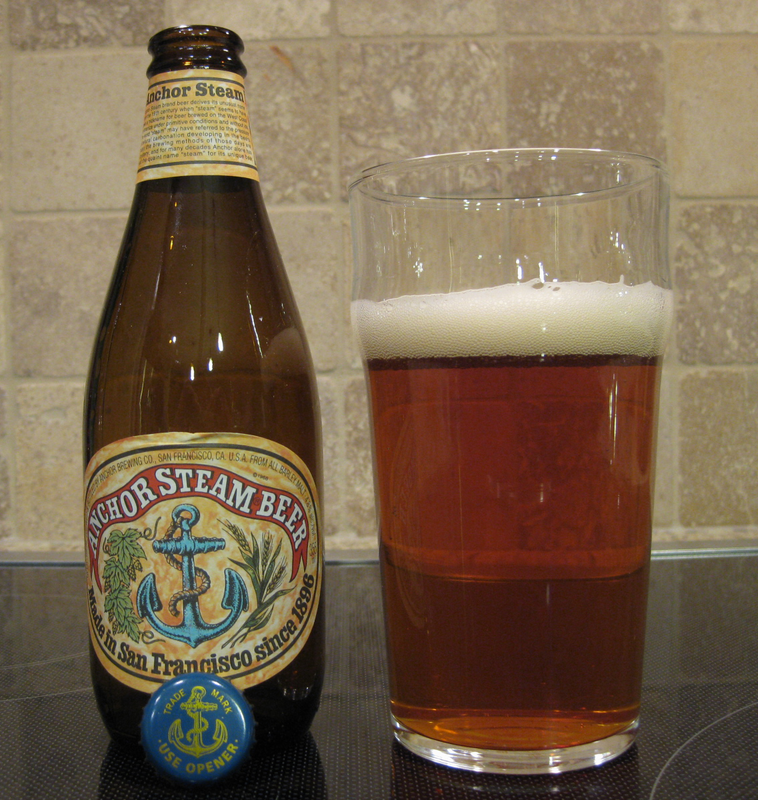 Anchor Steam is a nice medium amber color – even a little tint of orange. The beer pours with a fluffy one finger head with a very long retention that leaves some impressive sticky lacing on the glass. The aroma is of malted barley with some slight hop notes. There is not a lot of complexity to the aroma and I can’t tell if I am “forcing” a smell but there may be hints of some fruits and other grains I can’t identify. The taste is similar to the aroma consisting mostly of malted barley with the hops taking a stronger presence in comparison. The taste is a little sweet with the fruit notes and a bit of nuttiness coming through. A very enjoyable flavor that is not too heavy. This could easily be a session beer. The beer is moderately carbonated and the moutfeel is tingly but smooth. Light to medium body. A very pleasant beer and I would recommend it when you aren’t looking to find something new and crazy but just want a straight up beer with a little class.